Introduction: Let’s begin with your posture. I literally and figuratively mean that. Posture is everything. How you stand and each step you take affects every joint in your body from the top of your head to the tip of your toes and all that lies in between. And here is why. The minute we become bi-ped gravity begins its journey of push and pull down every joint in your body. Your platform for balance is your feet. They have the task of balancing your whole body upward against gravity keeping you from toppling ove. This alone seems an amazing feat not to mention the demands that occur when you decide to engage in multiple movements that sports and life require. Your body has built in mechanisms via the nerve system and joint system to accommodate your multi-directional demands quite gracefully – if your posture is intact. When your posture breaks down, uneven loading to your joints and spine begin – and injury and pain follow close behind. So let’s explore the mechanisms of posture. Years of experience and thousands of postural assessments lead me to your feet. They reveal the secrets to how you stack upwards. Posture begins from the ground up, but can confront major challenges in today lifestyle which continually contract you down and forward such as computers, driving, cell phones, reading etc… These all force you into a forward contracted posture giving gravity momentum creating excessive loading and compensation through and including your organ systems all the way down to your toes. Example; a minimal forward drop of the chin 2 centimetres equates to your normal 10 -12 kilo head weight becoming 17+ kilos (this commonly occurs while sitting at a computer). To ensure you don’t fall over with this additional load, the neck, shoulders, spine, hips, knees and feet all compensate and counterbalance this extra load. The longer the head maintains forward load, the harder the muscles and joints have to strain to maintain. Most jobs and sports require imbalanced loading to one side of your body making proper posture complicated and stressful to your whole system. Simple postural exercises can prepare your body to deal with these stresses and restack you evenly. Get your postural assessments from a professional and the rewards and benefits will last a lifetime. 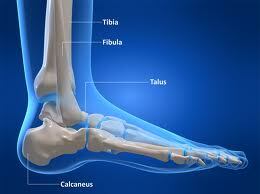 The foot has 26 bones, 33 joints, 107 ligaments and 19 muscles. WOW that is impressive! The toughest strongest and largest tendon in the foot is the Achilles, making it the longest and toughest to heal after injury. Those who have experienced this know it’s a big “Boo Hoo”! There are 125,000 sweat glands in each foot – yikes! So let those puppies breath! The most frequently injured joint from sport is the ankle. The most common ankle injury occurs as the outside edge of the foot rolls over itself, lifting the arch of the foot and in turn tearing and damaging the outer ligaments. 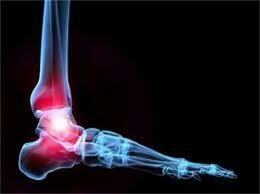 Reoccurrence of foot and ankle injury is very high! Your feet must be rehabilitated properly to prevent this. Create happy feet and prevent or rehab injury by training and stretching your feet in multiple directions and movement patterns. Yoga is great for this. Pick tramps with undulating terrain which challenge all angles. The beach is also ideal. Kick off those boring shoes and do ABC’s in the sand (alternating heels and toes). 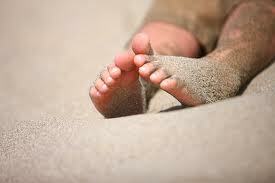 Twirl and twist your feet in the sand – and give them a natural foot massage! Dropped arches are a red flag to get yourself to a podiatrist where shoe inserts will assist. The amazing blueprint of your feet is designed for the ability to traverse across uneven terrain, stones, boulders and steep hills whilst keeping you stable and mobile. Today’s flat shoes and flat concrete jungle offer no challenge to the unique abilities of the feet and their intricate design. The once “happy to meet a challenge” feet have now become lazy, collapsed, sore feet. When you take them for a walk, run or sporting event that slightly veers from flat you quickly find yourself with an injury. So be kind to your feet and be playful with your feet – because they have the big journey called “Your Life” to carry you through! Sport offers you the gift of “complete presence” therein lies its sweet addiction and soul satisfaction. Your body gets to engage in the timeless space called “The Now” free of life’s tangles. Don’t let your busy calculating mind impose itself! Direct your mind as the tool in your sport, and let your body becomes the sport. Next month’s FIT JOINT Series article will focus on the Hip. 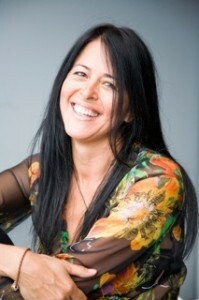 Doctor of Chiropractric, Neck Specialist, Neuromuscular Therapist, Biokinetics Practitioner, CHEK Holistic Lifestyle Coach Level II, Sports-Specific Practitioner and Seminar Presenter, Dr. Theresa Dobson has a long-standing rep utation as a highly experienced and knowledgeable practitioner. With two clinics located in Auckland and on the North Shore, Theresa works with a wide spectrum of patients such as professional rugby players, boxers, surfers, yachtsmen, cyclists, motor racers, soccer players, as well as recreational sportsmen and women of all age groups. Theresa is currently setting up a new business, guiding people through the “Dos and Don’ts” of surgery, offering programs and seminars to advise patients how to manage their pain effectively.